so what's the general feeling about mid/end december conditions? Time to start panicking? Definitely too soon to start panicking. Lots of uncertainty right now, we’ll have to wait two weeks to fully understand if the PV will stengthen or weaken and if/how the stratosphere and troposphere will couple. No sign of a cool down in the medium term, out to middle of November, and in the short term things warm up a bit in the western alps. Meteoceil is hinting at a cooling off right at the end of its run (third week of November) so I’ll cling onto that. It would be good to see a stronger indication of a cool down in the models over the next week if we are to get conditions more conducive to starting the season by the end of the month. Fingers crossed. Lifts due to open in 3 and a half weeks. Not in the vast majority of resorts. Here's the opening times for Ski Amade. Only the one hill/ couple of lifts areas (apart from Filzmoos) not due to open in 3 weeks time. 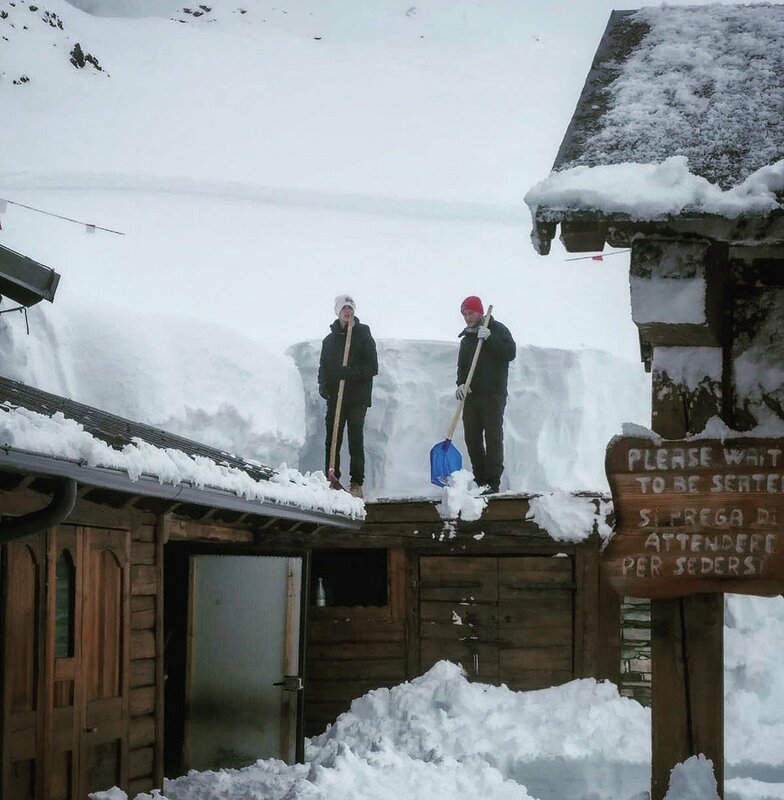 Probably around 90% of the Ski Amade would open in 3 weeks if there was enough snow. Ffs it's early season even right up to Xmas regardless of marketing lift opening dates. You may get great, average or poor snow, it's still very early in the season. Hence why I said no need to panic. Hintertux has 36km open today but nothing below glacier altitude. Ffs it's early season even right up to Xmas regardless of marketing lift opening dates. 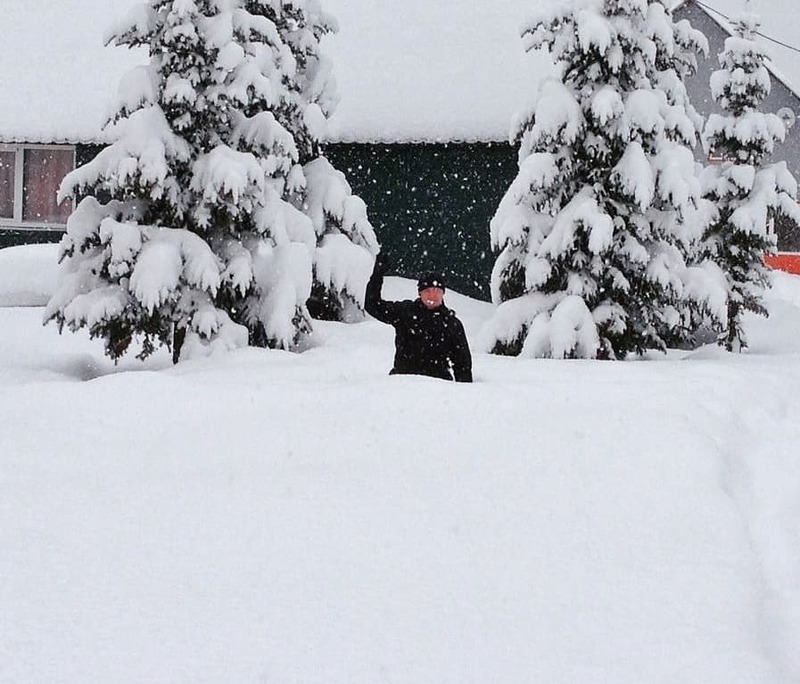 You may get great, average or poor snow, it's still very early in the season. Sure, but that's not what you said, re. 6 weeks before even thinking about early season conditions. Christmas is in 7 weeks; in 8 weeks we're basically at mid-season. Not that there's anything to worry about at all yet, but it's still better to be accurate and honest. @clarky999, yeah fair point should have said no need to panic rather than think about early season snow. Feb is mid season in my mind, dec/Jan early season. March about perfect then spring end of March onwards as massive generalisations. @kitenski, +1. Too early to call. Though I can't help but watch and dream. You said that the vast majority of resorts were not due to open in 3 and a half weeks. No I was right. You've listed a few Ski Amade resorts, there are 100s of resorts in Europe that won't be open in 3 and a half weeks. All the high altitude resorts are marketed as early season reliable ie. Zermatt, VT, Tignes, Argentierre, ischgl, Verbier Saas fee etc, plus some of the Dolomite and Austrian resorts which rely on snow making. At the end of November we can review the success of altitude versus intervention as an early season strategy. At the moment altitude is winning but that could change if temperature drops in the next 2 weeks. Not looking likely at the moment though. So that's a "resort" is it? Velké Meziříčí 1 km of slopes with a massive 80m drop !! 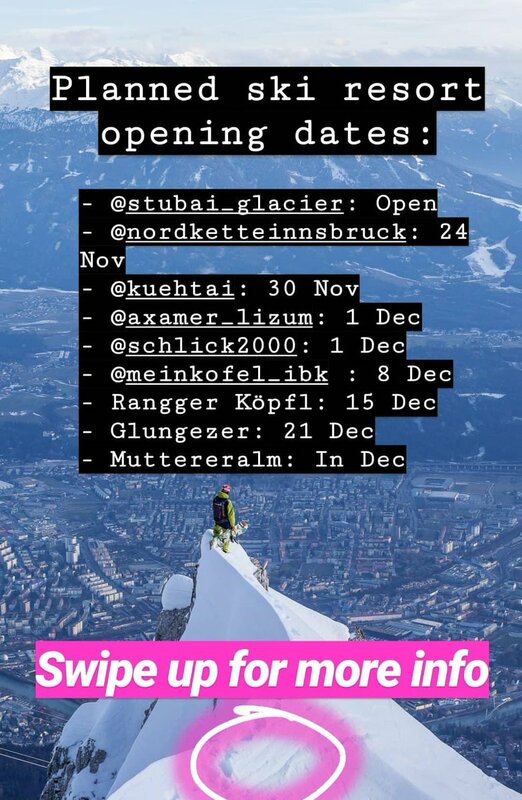 Obergurgl/Hochgurgl opens next Thursday 15/11 as scheduled according to the website, but going by webcams that'll be very upper slopes only atm. T-shirt weather in Brussels this evening. Mild temperatures look set for at least the next 10 days. Beyond that is hard to tell. Could stay mild, might not. Anyone who says they know with confidence is making it up. Good time to put in some hill training. It hit 24 degrees in Rosenheim yesterday because of the föhn conditions. Not quite so warm here in Munich but still perfect for biking. I flew over alps on Saturday and it was very noticeable how quickly the snow disappeared north of the main ridge, a lot more on the south side. Around ~25 major Western European resorts open today. Austria has the most stations open right now. Switzerland and Italy have (by far) the best snow. If anything it looks like the Pyrenees will do well. How are they doing now compared to historically? @südtirolistdeutsch, below link has a lot of numbers to compare, and yes Pyrenees and Iberia in general have had the lowest pressure anomalies in europe for several months now. Lots of model watchers calling end of Nov / early Dec for the first big change to cold synoptics, supported by various back ground signals (entering solar min winter, strat disruption, MJO and all sorts of things I can't explain). But the mid range models are at least giving signs of a cooling trend on the ensemble averages. The elephant in the room euro HP block needs to go....preferably north. Below are the latest 10 day Northern Hem views: ECM, GFS (P) 00z. The parallel run, also called FV3, is the new version of GFS and is currently topping the prediction tables in the 10day range. It's easy to access on metrociel, go to normal GFS page and hit "Run Parallel NEW" top left of graph. One of the differences with this next attack on the block is that undercutting lows may come from either west, east or both. 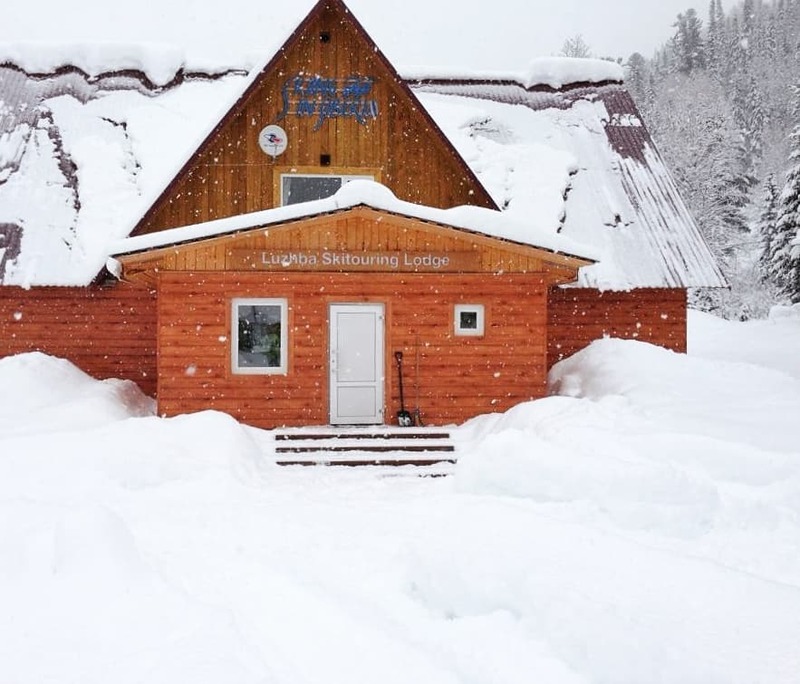 And not looking too shabby in Luzhba Skitouring Lodge Siberia - these are today, and more snow to come. Will it happen that way? Far too early to tell and models often struggle with Scandi highs. But worth keeping an eye on. Interesting to see where ECM heads at the end of its run too. I'm very much foreign to Europe and a weather dummy anyway. Are these big high pressure systems over Europe common this time of year? Or is it a freak event? I always knew Helena would make a good weather girl! @sbooker, it's not a freak event but we don't want the current weather pattern to carry on too long as it's stopping cold air, and fronts, from getting near the Alps. High pressure somewhere over Europe isn't necessarily a bad thing. But it depends on where it's centred, as it dictates the wind direction in the areas around it - winds go clockwise around highs. This might already be obvious, but northerlies / easterlies usually bring cold air to the Alps, westerlies are warmer but usually wet or snowy, while southerlies are too warm (at this time of year) and often dry (with some exceptions). A high further north could put the Alps in a colder easterly flow, for example, which I think is what the chart above illustrates. High pressure right over the Alps is less good for cold air or snowfall as air masses can't encroach from anywhere else.